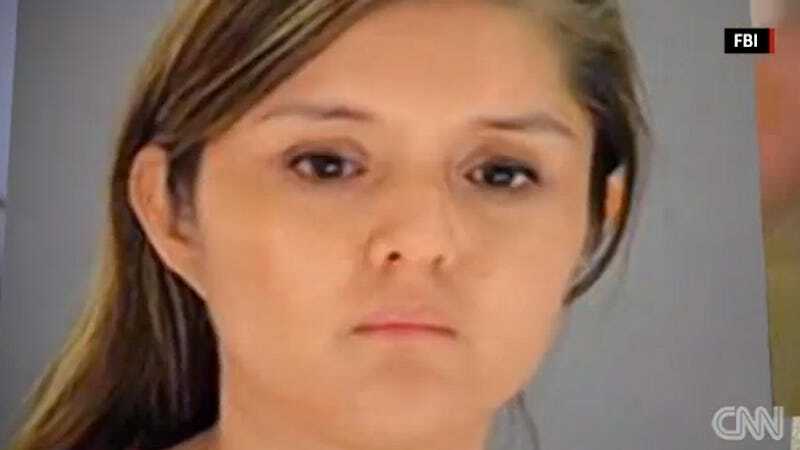 Brenda Delgado plotted the death of Kendra Hatcher for months before paying two accomplices in cash and drugs from cartel sources to murder Hatcher in a Dallas parking garage on September 2. After being interviewed about the murder, Delgado fled to Mexico. Brenda Delgado orchestrated the murder-for-hire of a Dallas dentist who was dating her former boyfriend, authorities said. The 33-year-old was indicted on capital murder charges after the accused accomplices waited for dentist Kendra Hatcher at a parking garage in Dallas, then shot her. She is only the ninth woman to ever appear on the FBI’s 10 Most Wanted Fugitives List since it was created in 1950. Not exactly the kind of representation women are seeking, but I was still pretty shocked at the low number. I guess there’s only ten people on there at a time. Delgado was jealous of Hatcher’s relationship with her ex, and the catalyst for the alleged crime came when she heard they were planning a vacation together. Her co-conspirators have also been arrested, but an award of $100,000 was only attached to Delgado during the search. Authorities were allowed to extradite her from Mexico only after taking the death penalty off the table. Dallas litigators are seeking life prison.